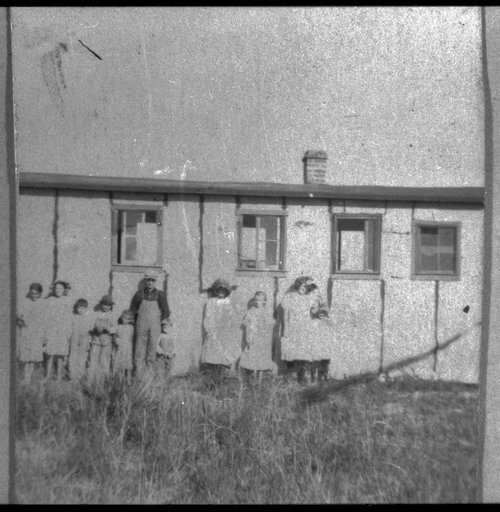 This photograph shows the Shoe Shop School with paper covering the sides, wheels, and all. The paper proved to be poor insulation and did not keep the wind or the children from slipping under the school room floor. The ten children pictured were only half of Maude Elliott's pupils. She taught thirty-two classes a day, all eight grades.